The arguments detailed in a 115-page document are similar to the objections raised by O’Caña’s attorneys during the trial that began at the end of September. Visiting Judge. 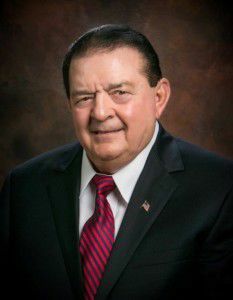 J. Bonner Dorsey’s decision at the conclusion of the trial on Oct. 5 voided the June runoff election in which former Mayor Norberto “Beto” Salinas was unseated after 20 years in office by O’Caña who at the time was a city council member. O’Caña’s attorneys filed a notice of appeal the following business day on Oct. 8 with the 13th Court of Appeals. In their brief, filed on Nov. 21, argues that Salinas’ attorneys failed to make their case that there were enough illegal votes cast to overturn the election, that the trial court should not have allowed the expert witness to testify, that there was insufficient evidence of the final results of the runoff, and that the judge should not have admitted several documents into evidence because they were not properly certified. “Salinas was required to prove by clear and convincing evidence that illegal votes were cast in the election and that a different and correct result would have been reached by not counting the illegal votes,” the brief states. During the trial, Ricardo “Rick” Salinas, the attorney for his father, Beto Salinas, presented a case accusing the O’Caña campaign of illegally harvesting votes. Salinas called on witnesses who testified to receiving money in exchange for votes, being illegally assisted at the polling sites, and being illegally assisted with their mail-in ballots. However, throughout their brief filed with the appellate court, O’Caña’s camp attacked the credibility of some of those witnesses and argued that those whose votes were illegally harvested did not amount to enough votes to affect the result of the election. The brief argued that the maximum possible number of illegal votes Salinas proved based on testimony was 25 votes, less than O’Caña’s 157 vote margin of victory. “Because Salinas did not have a sufficient number of fact witnesses to establish enough illegal votes to change the outcome of the June 9, 2018 run-off election, Salinas pushed his expert George Korbel to come up with opinions producing more illegal votes,” the brief states. During the trial, Korbel testified that by examining the mail-in ballots, he believed there could be as many as 303 illegally harvested mail-in ballots. But the brief goes on to state that Korbel should not have been allowed to testify in the first place, arguing that he has no experience in voter fraud cases involving illegal ballot harvesting and vote bribery. Korbel had previous involvement in cases dealing with gerrymandering and voter ID laws. However, Korbel noted during trial that the Mission case was a unique one. In their brief, O’Caña’s attorneys also argued that Salinas attorney did not submit into evidence the final canvass of the June runoff election. The brief makes reference to a document created by Korbel which lists the final results of the election and argues that those documents were not properly authenticated. They also argued that Salinas’ attorneys did not submit evidence proving that the alleged illegal votes were actually counted. “In fact, Salinas did not prove that any votes were actually counted,” the brief stated. The last pillar of their argument centered over the admissibility of certain evidence which they claim was not properly authenticated. The brief specifically objects to the admissibility of a CD that contains all carrier envelopes, applications for mail-in ballots and accepted and rejected mail-in ballots because of lack of proper authentication and because, they argue, it contains hearsay and hearsay within hearsay. “The CD itself has no signatures, no certificate, no seals, nothing to authenticate the CD, noting that provides the cost with any evidence that the CD came from the Hidalgo County elections department,” O’Caña’s attorneys argue in the brief. Despite their argument that evidence of the final canvass was not admitted, the results are included in the Findings of Fact and Conclusions of Law that was signed by Judge Dorsey. Salinas’ attorneys have until Dec. 19 to file their response to the brief. After the appeals court makes a decision, the parties have the option of appealing to the Texas Supreme Court.